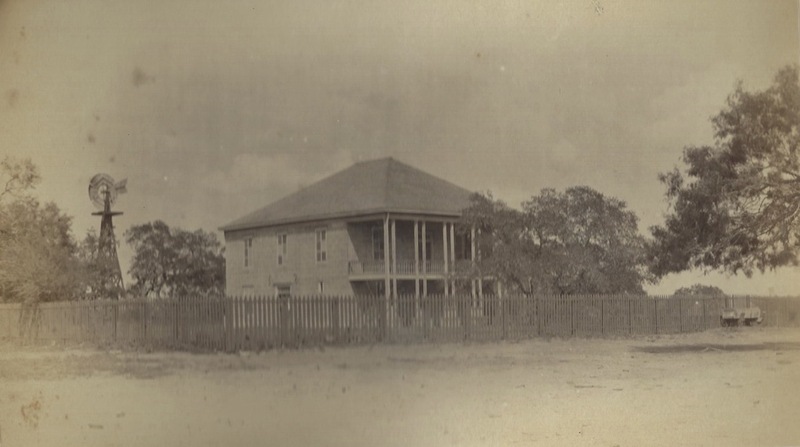 Oakville was the first post office in Live Oak County. The year was 1857. The town had been a stage stop on the San Antonio - Corpus Christi stage line. 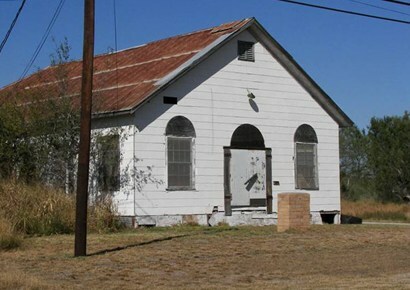 It was also the first county seat, and the first bank in Live Oak County was opened there. 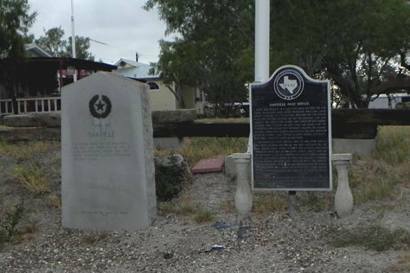 The town was a notorious and dangerous place during the Civil War. 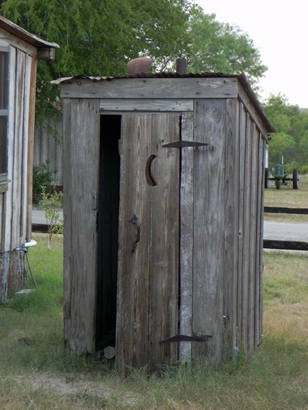 It took Texas Ranger Captain McNelley to clean up the lawless element in the 1870s. 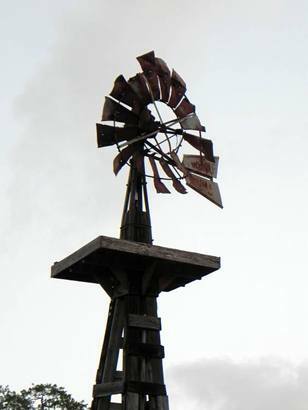 The town throve until it was bypassed by the railroad. 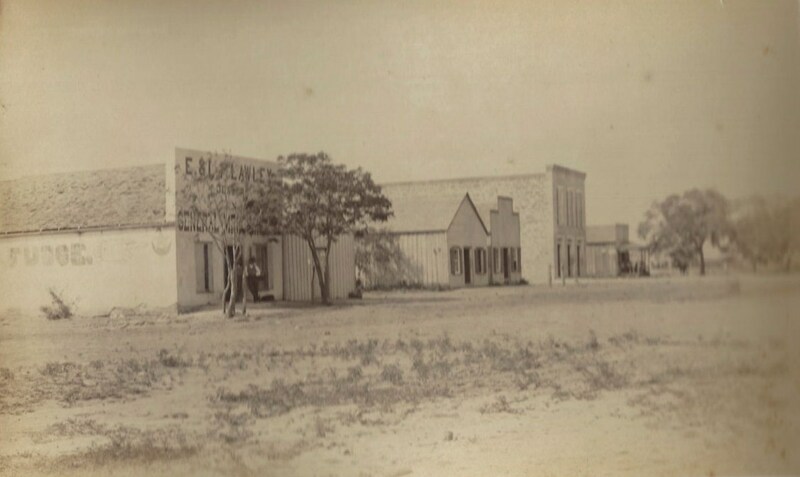 George West (the man George West) built a new courthouse to replace the existing (1880) structure in the town that he modestly named after himself. The Oakville courthouse had been constructed in 1857. Today, a post office (a rural branch of the Three Rivers Post Office) and a couple of gas stations provide about the only businesses in Oakville. 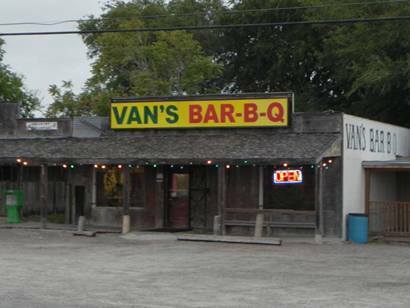 It does, however, have a marked exit from Interstate 37. Irish immigrants settled this area as part of the John McMullen and James McGloin Mexican land grant. 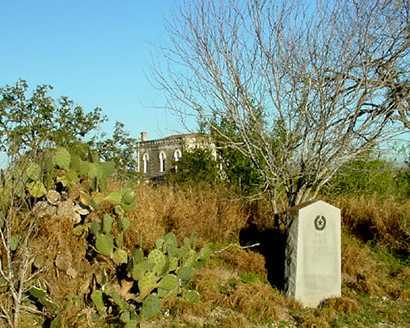 Located on the sulphur tributary of the Nueces River, this site was known as "on the sulphur". 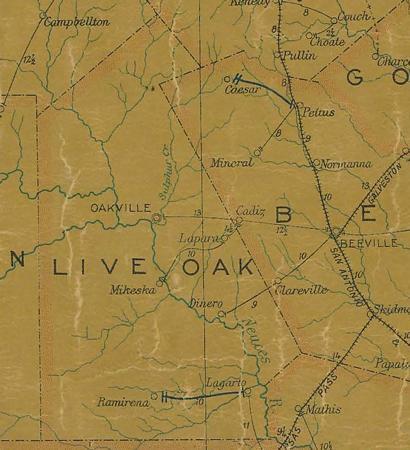 Live Oak County was organized in 1856 and "Oakville" was named county seat. Thomas Wilson gave 640 acres for the townsite stipulating that separate square be marked as public, graveyard, church, and school squares. 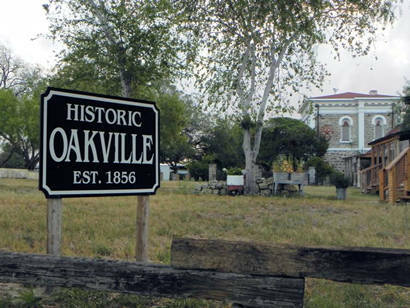 Oakville grew as stores, two hotels, a livery stable, a school, and two churches were established. The Oakville post office was established May 11, 1857, with Joshua Hinton as the first postmaster. 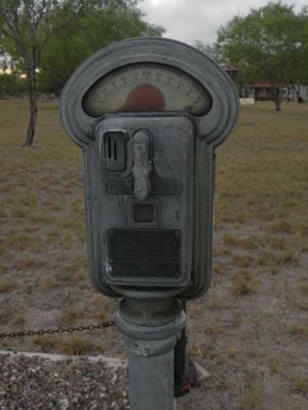 The mail came four times a week on stagecoaches traveling from San Antonio to Corpus Christi and on to Brownsville. 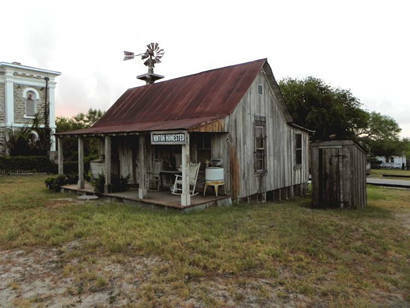 By 1879 the San Antonio-Corpus Christi stage left both ends of the line six days a week. Stage travel became less popular with the arrival of the railroad. 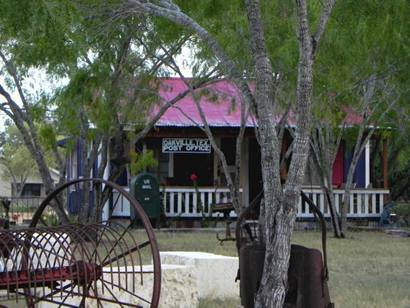 When the San Antonio, Uvalde & Gulf railroad bypassed Oakville in 1913, the town began to decline. 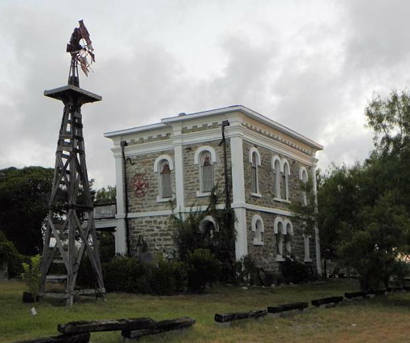 The county seat was relocated in 1919 at George West. In 1966 the Oakville Post Office was designated as a rural branch of the Three Rivers Post Office and continues to serve the community. My dad was born and raised in Oakville (born in 1935). As a child living there I remember the Rosebrock's that lived in the jailhouse. It is also rumoured that the big oak tree on the lot is the old hanging tree. Julia Dunks recently did a Master's thesis on this jail building in Oakville. She is an architectural graduate student at UT-San Antonio. (It is not the courthouse, which was torn down about 1941.) 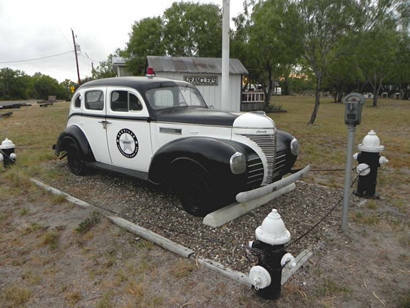 She said: The Oakville jail was built in 1887 of native sandstone, building served as the Live Oak County jail until 1919 when the county seat was moved to George West.